Chapter 19 was for a reader. GordonJames was the first Wattpadder to encourage me to write. He told me not to write what people wanted to read, but to write the story I wanted to tell. I didn&apos;t realize until too late that he was only a few miles from me. As Wattpad has a huge reader base from all over the globe, it didn&apos;t occur to me that he lived in the same city. He would read and critique Dawnhammer in between cancer treatments and told me that it was the highlight of his day. I don&apos;t know what he was like before, because I never had the chance to have lunch with him, though I did offer. He was a warrior, but died in battle with cancer 5 months ago. 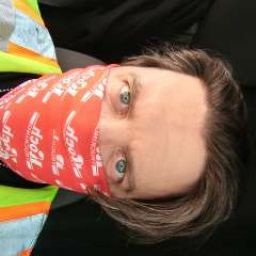 "Glad for the update just came out of ICU this will finish cheering me up. Many thanks my friend. Stay safe." Those were his last words to me. I built the Alphas and the character of Gordon specifically to honor him and what he did for me with Dawnhammer. Everyone is fighting a battle you can&apos;t see. For some people, simply walking is a war waged daily, and they are the fearless who fight. Dawnhammer made it to #50 on the Sci Fi rankings. As such, I felt a tribute to him was fitting. I would ask that you NOT VOTE on this Author&apos;s note. I won&apos;t delete this one as I did the others, but I would ask that you do vote on the story, if you&apos;re enjoying it. Those stars don&apos;t seem like much, but they do encourage me (and others) and let me know you want more. I appreciate everything you guys have done and the kind words for Dawnhammer. I realize that this chapter got very mature, very quickly, but there was a reason. I stated once that I write fantasy. That&apos;s the truth. 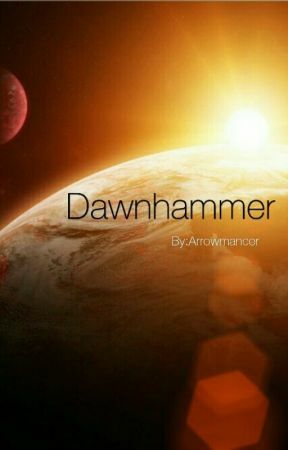 Dawnhammer was an experiment to see if I actually could write a decent story. Chapter 19 is an example of what&apos;s coming with the fantasy series when Dawnhammer is complete. Once again, thank you all. Remember to vote and share the story if you think it&apos;s worthy. Like I&apos;m about to do.